Sunday Update: Kung Fu Panda 3 easily led the box office this weekend with an estimated $41.0 million. However, the 3D computer animated sequel from Fox and DreamWorks Animation opened below expectations, which had been boosted a bit as a result of strong online pre-sales heading into the weekend. Kung Fu Panda 3 debuted 21 percent below the $52.11 million debut of last year's Home and 14 percent below the $47.66 million opening weekend take of 2011's Kung Fu Panda 2 (which was deflated a bit from opening on a Thursday). Without adjusting for ticket price inflation, Kung Fu Panda 3 did register the third largest January debut of all time (behind only American Sniper and Ride Along). Kung Fu Panda 3 opened with $10.5 million on Friday, was up a strong 74 percent on Saturday to gross $18.3 million and is estimated to decline 33 percent on Sunday to gross $12.2 million. That places the film's estimated opening weekend to Friday ratio at 3.90 to 1. With no new family films going into wide release during the month of February, Kung Fu Panda 3 will have a strong chance of holding up well going forward. The film's strong A rating on CinemaScore is a good sign for Kung Fu Panda 3 going forward as well. Fellow Fox release The Revenant placed in a distant second with an estimated $12.4 million. The Alejandro González Iñárritu directed western starring Leonardo DiCaprio was down a slim 23 percent, as holdovers in general benefited this weekend from last weekend's grosses being deflated by both Winter Storm Jonas and last Sunday's NFL Conference Championship Games. The Revenant continues to exceed expectations with $138.17 million after 24 days of wide release (and an additional two weeks of platform release). The film is currently running an impressive 28 percent ahead of the $108.01 million 24-day take of 2010's Shutter Island. Disney's Star Wars: The Force Awakens claimed third place with an estimated $10.78 million. The seventh chapter of the Star Wars franchise was down just 23 percent from last weekend's deflated performance. This weekend's hold was especially impressive given that The Force Awakens was playing in 809 fewer locations this weekend than it was last weekend. With a record-breaking 45-day gross of $895.43 million, Star Wars: The Force Awakens is now just $4.57 million away from becoming the first film ever to reach the $900 million unadjusted domestic mark. Fellow Disney release The Finest Hours followed closely behind in fourth place with an estimated $10.33 million debut. The 3D action drama starring Chris Pine debuted towards the higher end of its modest expectations, but performed softly with its price tag in mind. The Finest Hours opened 6.5 percent below the recent $11.05 million debut of In the Heart of the Sea. However, The Finest Hours is likely to hold up significantly better than In the Heart of the Sea did, thanks in part to not opening the weekend before The Force Awakens. The Finest Hours received a healthy A- rating on CinemaScore. 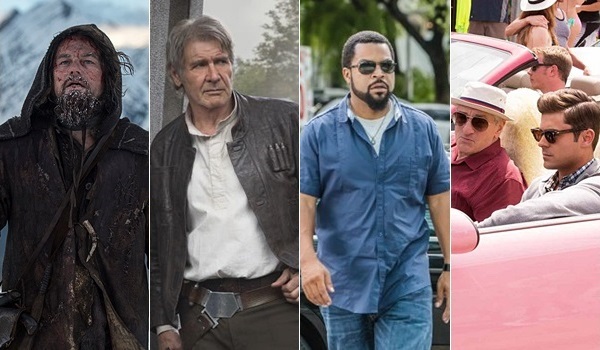 Ride Along 2 rounded out the weekend's top five with an estimated $8.35 million. Universal's PG-13 rated comedy sequel starring Ice Cube and Kevin Hart was down 33 percent, as the film held up much better this weekend than it did last weekend. Ride Along 2 has grossed $70.78 million in 17 days. That is below expectations and places the film 24 percent behind the $92.70 million 17-day take of 2014's Ride Along (which fell 43.5 percent in its third weekend to gross $12.04 million). Last weekend's three new wide releases all held up nicely this weekend and all three films remained fairly bunched together. STX Entertainment's The Boy was down just 27 percent to take sixth with an estimated $7.89 million; Lionsgate's Dirty Grandpa declined 32 percent to follow in seventh with an estimated $7.58 million and Sony's The 5th Wave also fell 32 percent to land in eighth place with an estimated $7.00 million. Respective ten day grosses stand at $22.82 million for Dirty Grandpa, at $21.53 million for The Boy and at $20.19 million for The 5th Wave. Meanwhile, Open Road's Fifty Shades of Black disappointed this weekend with an estimated ninth place start of just $6.19 million. The Marlon Wayans led R-rated comedy debuted below its already scaled back expectations and a very underwhelming 30 percent below the $8.84 million start of 2014's A Haunted House 2. Given the performances of Wayans' more recent films, Fifty Shades of Black is likely to fall off extremely quickly going forward. 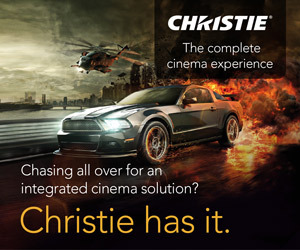 The film's lackluster C rating on CinemaScore won't do it any favors either. 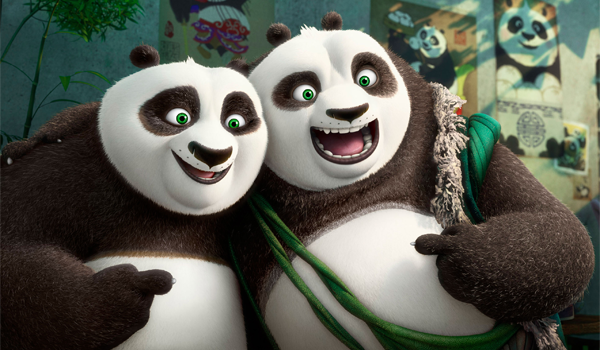 Saturday Update: Fox reports that DreamWorks' Kung Fu Panda 3 bowed to an estimated $10.5 million on opening day Friday, claiming first place in the process -- the first animated film to do so since October 1 (Hotel Transylvania 2's last day in that position). Unfortunately, that does fall slightly short of pre-release expectations (and south of Home's $15.7 million opening day last March). However, the long game should benefit the long-awaited second sequel in the franchise as strong word of mouth (89 percent on Flixster) and very positive reviews (79 percent on Rotten Tomatoes) are in its favor, in addition to a lack of any real competition until March's Zootopia. 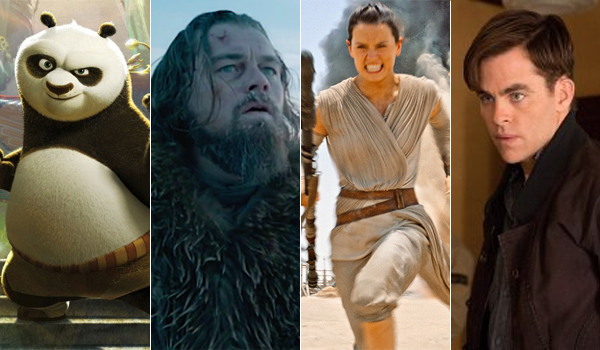 For opening weekend, BoxOffice projects a $37 million haul, followed by strong legs thereafter. Disney's The Finest Hours debuted in second place on Friday with an estimated opening of $3.312 million. That's generally in line with the $3.63 million opening day of the studio's McFarland, USA last February. While in line with pre-release expectations, the big-budget film will certainly need to sprout strong legs in the long run. Early word of mouth appears mixed with a 69 percent Flixster score and 59 percent critics' rating. BoxOffice projects a $10 million opening weekend in fourth place. The Revenant scooted down to third place on Friday with $3.22 million, off 30 percent from the same day last week. That brings the 12-time Oscar nominee's domestic tally up to an impressive $129 million and counting. This weekend should ring up around $12.1 million for a second place finish. Star Wars: The Force Awakens took fourth place yesterday as it eased 30 percent from last Friday to $2.459 million. That brings the all-time domestic champ's running total up to $887.1 million now as it chases down its next benchmark of $900 million (which it will reach sometime next week). Look for another strong weekend around $10.4 million in third place. The Boy filled out the top five yesterday with $2.31 million, down just 39.5 percent from its opening day last week. That's an impressive hold for most movies, especially in the horror genre, indicating healthy word of mouth among the target audience. The film has tallied $15.9 million in eight days of release as it heads toward a strong sophomore frame around $7.8 million. Meanwhile, Fifty Shades of Black lived down to expectations with a $2.25 million opening day. By comparison, fellow Wayans-led spoof A Haunted House bagged a $6.8 million first day back in January 2013. Word of mouth (40 percent) and reviews (14 percent) are both in the cellar, so theatrical life will be short-lived. Look for an opening weekend around $6.3 million. Friday Update: Sources report that Disney's The Finest Hours grabbed an estimated $375,000 from Thursday night's first showings. By comparison, that bests the Thursday bows of McFarland, USA ($260,000) and Million Dollar Arm ($250,000) -- two other recent live action Disney films based on true stories. With the film taking over most IMAX locations this weekend from the studio's own Star Wars: The Force Awakens, premium screen grosses could help the film open somewhere between $12-15 million this weekend. Meanwhile, Fifty Shades of Black pulled $275,000 from last night's shows. Unfortunately, the best comparison would be for the fellow Marlon Wayans-led A Haunted House movies, but neither of those received Thursday night openings. Rough projections have the comedic spoof pulling in between $8-11 million overall this weekend. The headlining opener for the weekend, Kung Fu Panda 3, did not receive any Thursday night shows. This is becoming a fairly common practice even for high profile animated films as last year's Hotel Transylvania 2 and Fox's own The Peanuts Movie also opted out of Thursday night openings. Given the popularity of the Panda series through two films, very positive reviews for the new entry, the lack of NFL playoffs this weekend, and many east coast families looking to get out after being snowed in last weekend, we're very optimistic about Panda 3's opening weekend (not to mention potential for legs through February) having a shot at $50 million or more this weekend -- but an opening in the $40m+ range would be a great start regardless. Fox reports today that The Revenant retained first place on Wednesday with $1.58 million, down just 29 percent from last week. That brings the 12-time Oscar nominated epic to a domestic tally of $124.3 million thus far as it continues to playing strongly on the heels of awards circuit success and buzz around Leonardo DiCaprio's leading performance. Star Wars: The Force Awakens added another $1.325 million yesterday, off just 27 percent from the same day last week. That brings the all-time domestic record holder's running total up to a staggering $883.3 million through 41 days of release. Dirty Grandpa rounded out the top three on Wednesday with $0.96 million. That gives the comedy a six-day total of $14.3 million -- notably ahead of the pace of That Awkward Moment, but still a relatively modest tally thus far. Falling just outside the top five yesterday, The Boy posted $0.606 million in sixth place. The film has earned $13.0 million through six days of release. Meanwhile, The 5th Wave added $0.602 million yesterday for a new six-day total of $12.6 million. Unfortunately, the young adult adaptation continues to perform below expectations. Fox's The Revenant took in $2.00 million on Tuesday to continue to lead the daily box office. The Alejandro González Iñárritu directed western starring Leonardo DiCaprio was up 36 percent over Monday and down a solid 36 percent from last Tuesday. The Revenant has grossed an impressive $122.68 million through 19 days of wide release (and an additional two weeks of platform release). The film is currently running 25 percent ahead of the $97.86 million 19-day gross of 2010's Shutter Island. Disney's Star Wars: The Force Awakens held steady in second place with $1.57 million. The seventh chapter of the Star Wars franchise increased 22 percent over Monday and decreased a very solid 34 percent from last Tuesday. Star Wars: The Force Awakens continues to pad its total as the highest grossing film of all-time domestically with $881.98 million through 40 days of release. That leaves the film just $18.02 million away from becoming the first ever the reach the $900 million domestic mark. Dirty Grandpa was up one spot from Monday to move into third place on Tuesday with $1.31 million. The R-rated comedy from Lionsgate starring Robert De Niro and Zac Efron was up a healthy 42 percent over Monday. Dirty Grandpa has grossed $13.34 million in five days of release. That is towards the lower end of expectations and places the film 32 percent behind the $19.62 million five-day start of 2013's Last Vegas (which increased 41 percent on its first Tuesday to gross $1.92 million). Ride Along 2 was down one spot from Monday to fall to fourth with $1.19 million. Universal's PG-13 rated comedy sequel starring Ice Cube and Kevin Hart was up 23 percent over Monday and down a sharp 48 percent from last Tuesday. Thanks in part to poor holding power thus far, Ride Along 2 is performing below expectations with a twelve-day take of $60.76 million. That places the film 22.5 percent behind the $78.44 million twelve-day gross of 2014's Ride Along. 13 Hours: The Secret Soldiers of Benghazi rounded out Tuesday's top five with $1.15 million. The Michael Bay directed action thriller from Paramount increased 23 percent from Monday and decreased a solid 38 percent from last Tuesday. 13 Hours has grossed $34.81 million in twelve days, which is a bit below expectations and places the film 26 percent behind the $47.28 million twelve-day take of 2012's Act of Valor. Sony's The 5th Wave and STX Entertainment's The Boy claimed sixth and seventh place with respective daily grosses of $0.937 million and $0.897 million. The two films were separated by a slim $39,941 for the day. The 5th Wave increased 29 percent over Monday, while The Boy was up by 25 percent. Respective five-day starts stand at $12.40 million for The Boy and at $11.99 million for The 5th Wave. Both films are performing towards the lower end of expectations and both films are likely limiting the potential of one another as a result of the overlap between their audiences. LOS ANGELES - January 27, 2016 - "Kung Fu Panda 3" is kicking its way to the top of Fandango's Fanticipation movie buzz indicator with a masterful 88 out of 100 points and boldly outpacing DreamWorks Animation's previous hits, "Home" and "Kung Fu Panda 2" at the same point in the Fandango sales cycle. "With its dazzling animation, all-star voice cast and moving story," says Fandango Chief Correspondent Dave Karger, "some critics are calling ‘Kung Fu Panda 3' the best film of the hit franchise. It's no wonder the film is leading Fandango's weekend ticket sales this weekend, thanks to families starved for star-studded animated adventure." To celebrate the release of "Kung Fu Panda 3," Hawaiian-born street artist Aaron "Woes" Martin -- best known for his angry pandas -- creates a giant spray-paint canvas as a colorful tribute to Po for Fandango Movieclips' live art video series, "TAG." You can watch the "Creating the Canvas" episode here and a behind-the-scenes "Artist's Profile" video here. Fox's The Revenant led the way on Monday with $1.47 million. The Alejandro González Iñárritu directed western starring Leonardo DiCaprio was down 59 percent from Sunday's performance (which was deflated by the NFL Conference Championship Games) and down 74 percent from last Monday's performance (which was inflated by the Martin Luther King Day holiday). The Revenant passed the $120 million mark yesterday and has grossed an impressive $120.67 million after 18 days of wide release (and an additional two weeks of platform release). The film is currently running 25 percent ahead of the $96.76 million 18-day gross of 2010's Shutter Island. Disney's Star Wars: The Force Awakens placed in a close second with $1.30 million. The seventh chapter of the Star Wars franchise was down 65 percent from Sunday and down 81 percent from last Monday. Star Wars: The Force Awakens continues to pad its total as the highest grossing film of all-time domestically with $880.41 million through 39 days of release. That leaves the film just $19.59 million away from becoming the first ever the reach the $900 million domestic mark. Ride Along 2 took third place with $0.964 million. Universal's PG-13 rated comedy sequel starring Ice Cube and Kevin Hart fell 67 percent from Sunday and 83 percent from last Monday. Thanks in part to poor holding power thus far, Ride Along 2 is performing below expectations with an eleven-day take of $59.57 million. That places the film 22.5 percent behind the $76.90 million eleven-day gross of 2014's Ride Along. Dirty Grandpa claimed fourth place with $0.922 million. The R-rated comedy from Lionsgate starring Robert De Niro and Zac Efron declined 61 percent from Sunday. Dirty Grandpa has grossed $12.03 million in four days of release. That is towards the lower end of pre-release expectations and places the film 32 percent behind the $17.70 million four-day start of 2013's Last Vegas (which fell 67 percent on its first Monday to gross $1.36 million). 13 Hours: The Secret Soldiers of Benghazi rounded out Monday's top five with $0.900 million. The Michael Bay directed action thriller from Paramount was down 54 percent from Sunday and down 70 percent from last Monday. 13 Hours has grossed $33.66 million in eleven days, which is a bit below expectations and places the film 27 percent behind the $46.14 million eleven-day take of 2012's Act of Valor. Sony's The 5th Wave and STX Entertainment's The Boy claimed sixth and seventh place with respective daily grosses of $0.725 million and $0.720 million. The two films were separated by a very slim $4,804 for the day. The 5th Wave was down 71 percent from Sunday, while The Boy declined 70 percent. Respective four-day starts stand at $11.50 million for The Boy and at $11.05 million for The 5th Wave. Both films are performing towards the lower end of expectations and both films are likely limiting the potential of one another as a result of the overlap between their audiences.